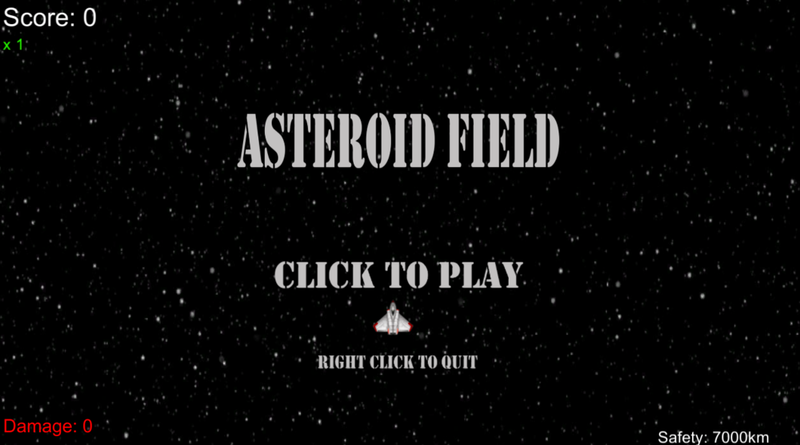 Asteroid Field was made at university for a 2 week assessment. This assessment was solo, so all design and scripting was done by myself. I am not an artist though, so I used pre-made assets for the artwork.